What can God do in 60 seconds? 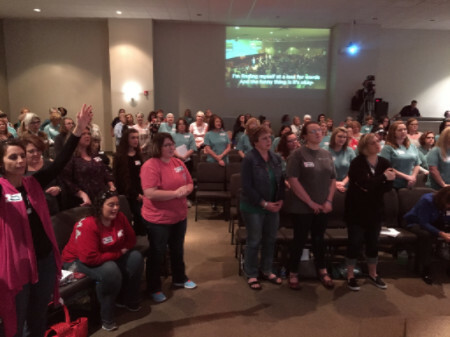 The women of Grace Life Baptist Church, in McCalla, Alabama have learned that God's not waiting on us to do a massive overhaul of our spiritual life in order to move into a deeper relationship with Him. In the Fresh Encounter with God Workshop, they learned that God has been passionately pursuing them since creation and wants to relate to them intimately. Then they experienced that intimacy firsthand. 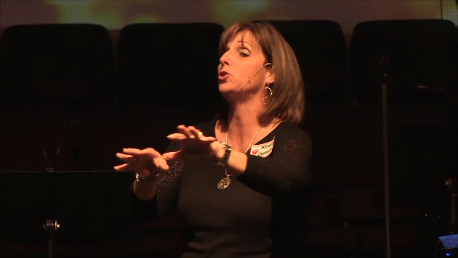 Over 200 women broke into small groups and for 60 seconds listened to God. Guess what? He spoke! Words of comfort, reassurance, and love. 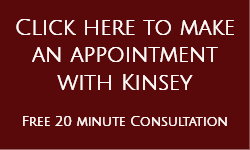 This 60 second thing is do-able! I have the hardest time being consistent with daily time with God, but no one has an excuse not to stop for 60 seconds and commune with Him. If we just do that, I'm sure it will grow into more! Amen, and that's the point. In this crazy busy world we live in, we often neglect our souls. We're tired, no, we are exhausted. We want more of Jesus but we think that means a more demanding schedule. I'm not advocating that 60 seconds is all we need - I'm just keeping it real - we have to start somewhere, and why not here? 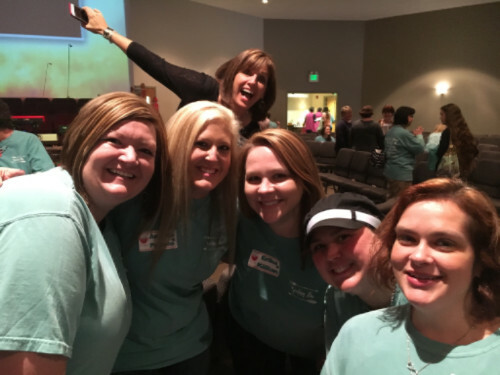 Workshop to Your Church or Group! Experience a Fresh Encounter by Listening to the Voice of God in 60 seconds.